Good morning! I hope all is well wherever you are- things are good here :)- busy, but good. 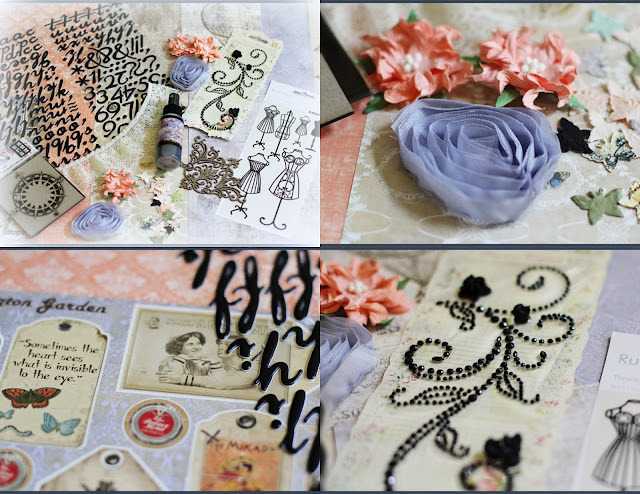 I'm here today to share with you a look at a couple of my projects using the C'est Magnifique September Kit, which features papers from Riddersholm Design out of Denmark. This is a gorgeous kit, as always! It was a breeze to work with, and if you like what you see, you should definitely check out the September section of the store HERE, where you can purchase kits, add-ons, and individual items. 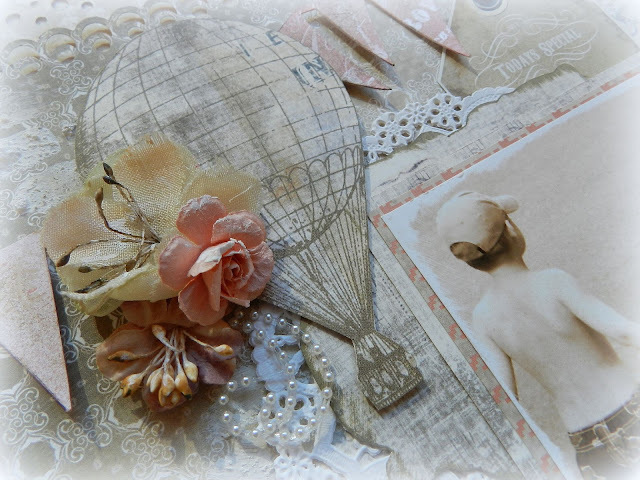 And to assure yourself that you never miss out on another fab kit from C'est Magnifique, see how to join HERE! "This Makes My Heart Soar"
There's no doubt about it, my boys are ALL BOY! They are beautiful, sweet children- but they can fight with the best of them- and they can do it ALL.DAY.LONG! However, it's moments like this one that really turns my heart to mush...it makes me hopeful of the day that they love each other as much as they love to fight with each other now, lol! I really enjoy making tags and cards. Having these things on hand for special occasions- especially the unexpected ones- is always nice! I loved putting together the lavender/black color combo here- perfect little gift for one of your girlfriends! 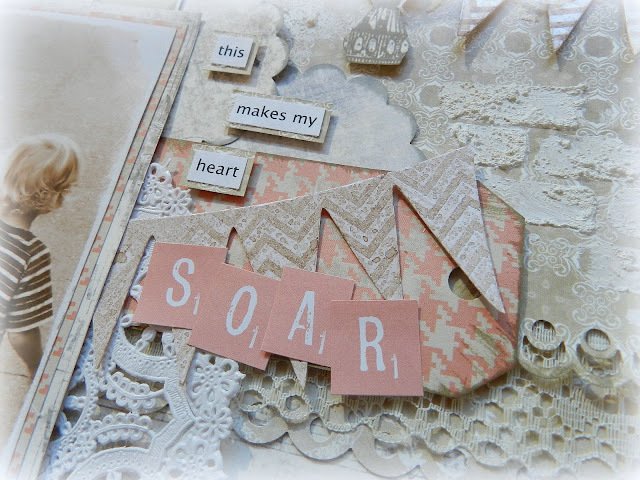 I have two other layouts and a card to share with you yet- so check back throughout the week okay? I hope you all had a great weekend (ours is winding down here)~ and an even better week ahead! Beautiful, Erin! 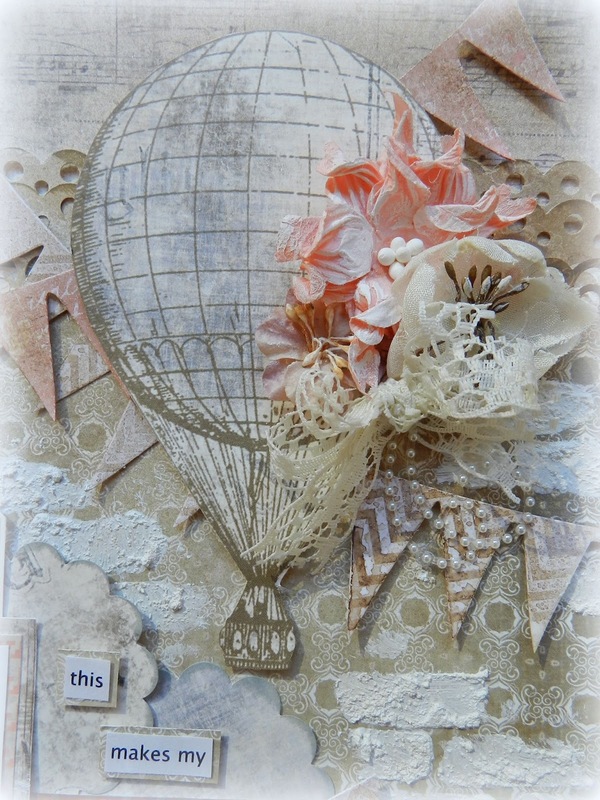 I love the touches of pink and the hot air balloons...so perfect for your title. I always love your border punching and flowers...it always looks gorgeous. Erin, this layout is fantastic, the colors go so well with that photo and that photo is precious, and yes...someday they will be close, Analise and Ben used to fight alot, but now they get along great and they would do anything for each other :) your tag is great too, love the black against the light background, very striking! Love your banners,doilies & borders on your layout. I also really like the lavendar color & butterflies on your tag.Great job on all! 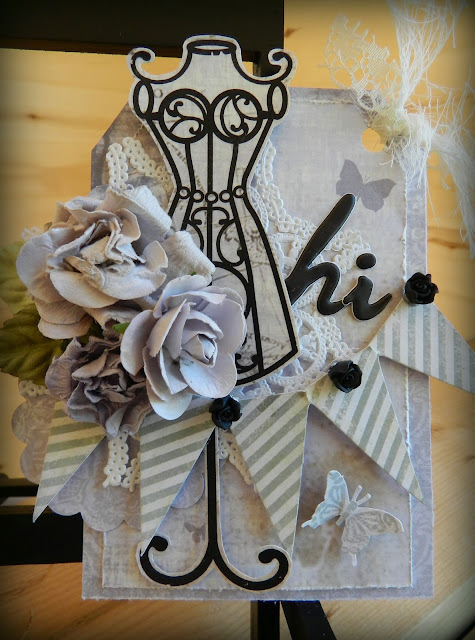 Love these creations, Erin: all the layers, the details, the soft colors on your layout and pop of black on your card! Wow, such a gorgeous lay-out for that priceless photo! I love the soft feel to your lay-out and the beautiful banners. Your tag looks totally fab too! Oh I am totally in love with this Erin. Your lo is just pure beautiful! Love the background work and all the banners and also the cute pic just to mention but a few of the things I enjoy very much! My eldest girls used to fight a lot (3 years between) but now they are almost inseparable and the best of friends. What a gorgeous layout! Love the tag, too! Wow ERINN!! this is stunning.. I have sat and looked at this for ages.. so many layers, so many details.. really beautiful photo, really really beautiful layout.. and the tag is so gorgeous and feminine too... wow.. amazing work! Another absolutely stunning layout Erin. Love the colours, layering - love it all. OH my this i s just breathtaking....so so gorgeous! Gorgeous layout Erin! Love all of the layering and punch work! Great picture!! Looks like a wonderful kit. Soooo pretty! That layout is totally dreamy & loving that little tag too!! I like that you shifted the hole to the side to balance the flowers on the other side. You have a naturally great artistic eye for design. Oh, this is SO beautiful! I love the colours you've used. And such a sweet photo! Love everything about it. You certainly know how to work these kits Erin! 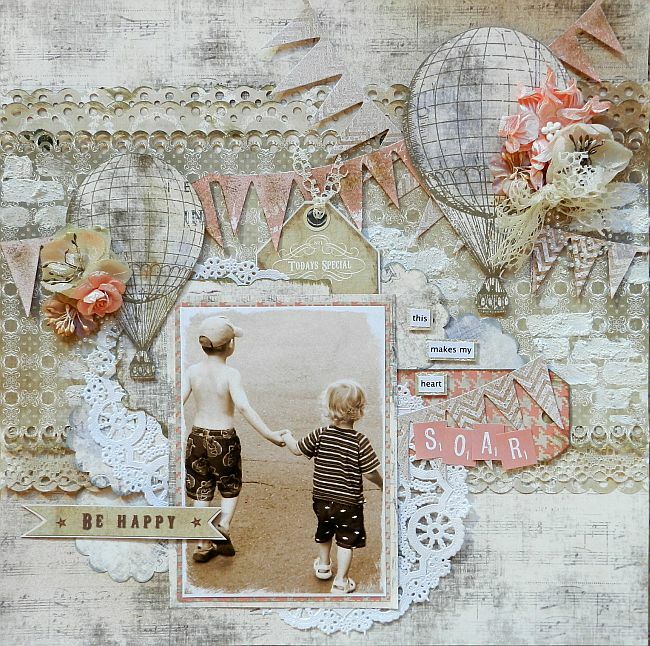 love the apricot and soft grey, and that photo of your boys, sweet sweet! You create such pretty tags too, just like with your cards, they are so beautifully designed. Mwah!